The Lagoon 400 is a catamaran with almost 12 meters of length. 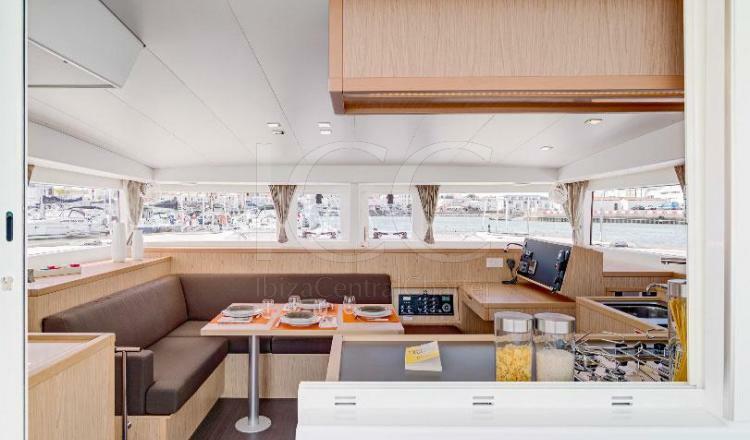 It has a moderate size that offers capacity for 12 people to discover the beautiful islands of Ibiza and Formentera and 10 people to spend the night on board. 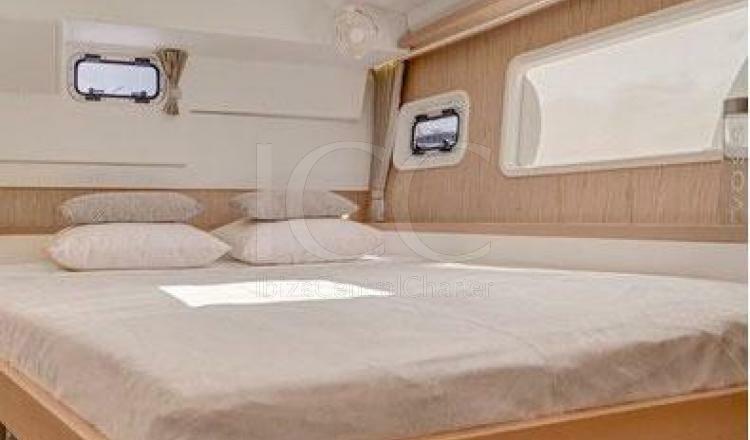 It is a boat with modern design and spacious habitability, with really cozy interiors. 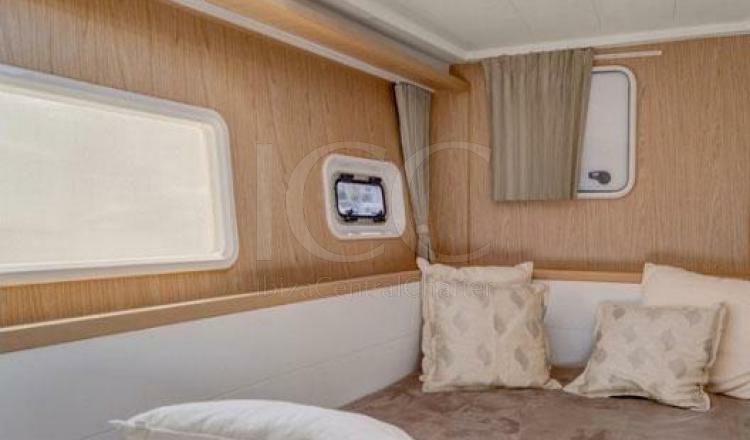 It offers 4 double cabins and 4 bathrooms that guarantee the comfort of passengers on board. As well as a convertible lounge with a wide sofa and dining table perfect to enjoy dinners or meals in the best company. 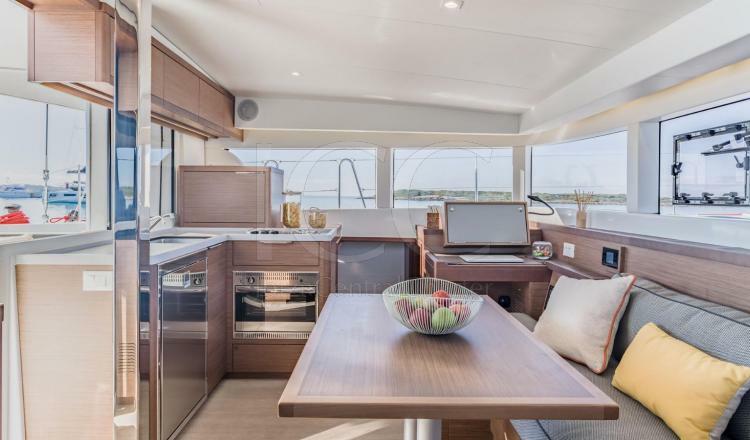 The kitchen is fully equipped with the necessary amenities to spend a week on board: oven, microwave, stove, fridge ... This space is very bright, thanks to the large windows that allow the entry of natural light and enjoy the Spectacular views of the Mediterranean Sea. It also has a sliding door that will allow you to obtain an open or closed room according to our preferences. It has a clean and elegant cover with flush hatches, ensuring a large space in the bathtub. 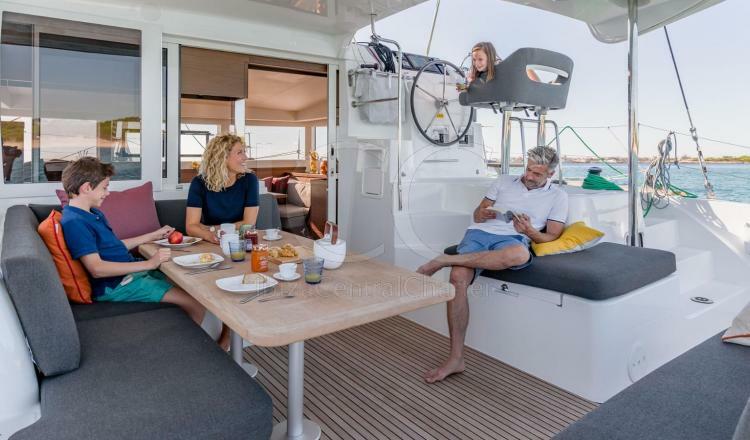 In the aft area offers us comfortable armchairs with an ideal table to relax with the sea breeze and two bathing stairs that make it easier to enter the boat from the water. 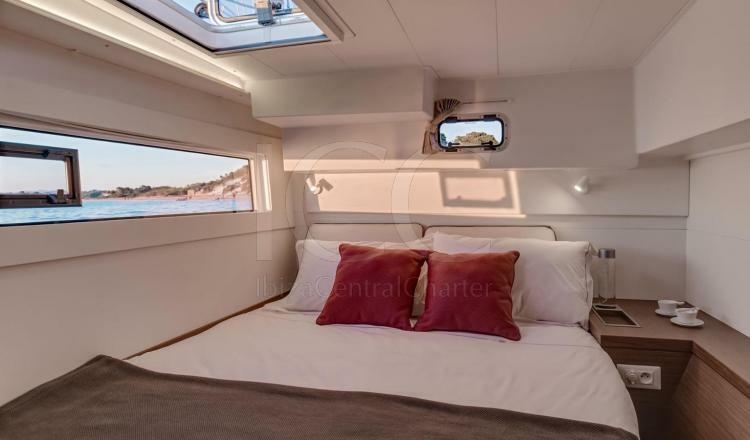 On the other hand, in the bow area, has a perfect network to relax to sunbathe or see the waves while sailing. 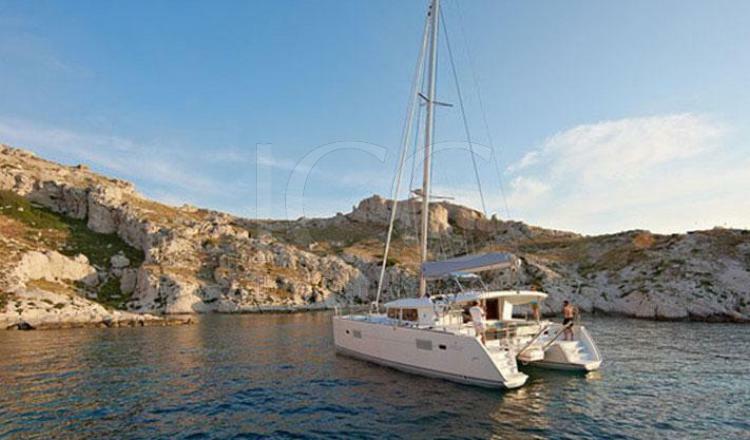 This catamaran is rented with or without a skipper, depending on the preferences of the client. For rent without skipper it will be compulsory to demonstrate the relevant qualification and nautical experience. - Mooring at base port first and last day. -In the event that the agency could provide an alternative customer, a 10% cancellation fee will be charged.